I have sort of an odd relationship with “story” in gaming. JRPGs really got me into gaming and inspired me to focus on my writing voice(s). Though the quality of narration in MMOs are just bad, some of my early experiences with the genre (particularly Asheron’s Call‘s GM driven story arcs that gave players a way to interact with lore as a group) opened up the possibility of group narratives, especially for those who roleplayed. In fact, as odd as it may sound, I think RP PvP in general showed me just how strong of a feature it can be for someone like me, from virtual Darkfall pirates trying to steal my boat to Star Wars: The Old Republic Jedi fighting for alignment while my bounty hunter simply struggles to make the most money while making the fewest enemies. Still, sometimes we don’t want to go grind through 20 mobs to get to the next part of the story, or suffer through a raid dance to choose the fate of a character we’ve been interacting with solo. It’s one of the reasons I figure MJ and Larry’s Choose My Alignment is so popular: You still get that story vote without having to be a member of the actual group. It’s odd, being an older MMO player who still sometimes struggles with accepting solo play in MMOs, but the story aspect is the part I get. It’s actually the main thing that kept me in SWTOR. But there are other options for this kind of play, primarily through TellTale Games and its Crowd Play feature and new game, Marvel’s Guardians of the Galaxy: The Telltale Series. Don’t worry story fans, as I’ll keep this article spoiler free! TellTale Games makes single-player point-and-click adventure games. Think of those “choose your own adventure” books combined with a graphical version of old interactive fiction games, with clicking to pick up that key instead of typing “pick up key.” For younger readers, maybe think of BioWare dialogue options combined with Legend of Zelda puzzle dungeons/shrines. TellTale makes a great gaming experience, especially when you’re short on time but hungry for an interactive story that TV and movies simply can’t compete with. However, they’re also single-player experiences. 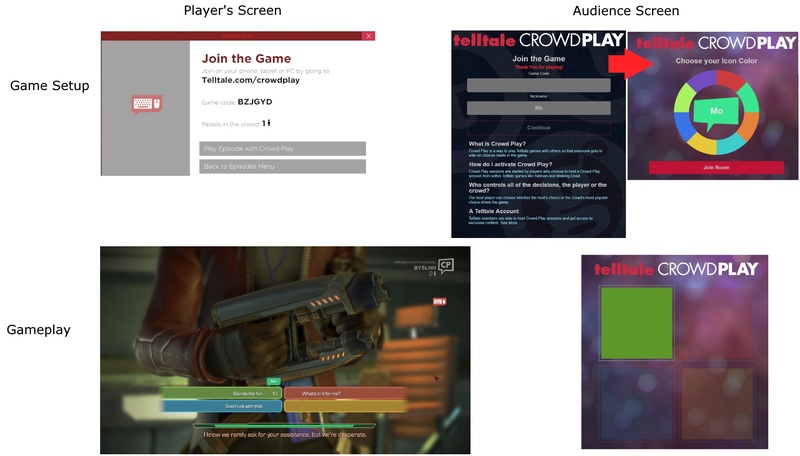 About a year ago though, TellTale introduced “Crowd Play,” a local-multiplayer focused option that allows the audience to voice their dialogue preferences in the game itself by visiting a kind of specialized “voting room.” By entering a code on their browser, viewers (even your parents) can pick up their smart phone and tell you to not shoot the bad guy. The main player has the option to either use this tool to simply gauge the audience’s preference or to make it so the dialogue choice with the most votes wins, with an unseen coin flip occurring to break ties. TellTale, however, specifically has mentioned that the feature isn’t optimized for streaming. I figured more people would still give it a go, but most of the videos I’ve found of the games that utilize it are limited to maybe one other person. While I have no desire to be a streamer, I figured I’d give it a shot and see how my friends and family liked the feature when we used it in a non-local multiplayer setting. I can see why TellTale has played down the games’ use in streaming. The delay between what you do and what the audience sees can be quite long. This wouldn’t be much of a problem if it weren’t for the fact that most of your dialogue choices are on a timer. I’d often pause the game so my viewers had time to catch up and make a decision. That may make participating easier, but the wait can be frustrating. MMOs or a game specifically built for Twitch integration might work better, but I’m a big TellTale fan, so I was willing to accommodate. Friends and family were my viewers, so they were probably more patient than random watchers would be. However, considering all the people who would leave my SWTOR groups to choose their own responses at the expense of Social Points, I think it’s safe to say that story can feel more personal than just running dungeons for loot/gear/darkside points. 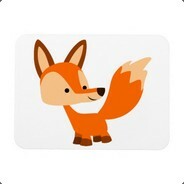 I figure most people will only use Crowd Play with people they know. Participating as just an audience member may be fun for some, though one day, it’d be interesting to allow multiple avatars. While I’m sure TellTale or other companies could make interactive, avatar based stories that allowed for more massive participation through shared worlds, this is a good start. Voting isn’t anonymous, though, which might not be good for shy people trying to participate in a random streamer’s channel. That being said, I felt like I learned a bit more about my audience through our choices. None of them was familiar with TellTale’s games, but they knew about choose your own adventure stories, with varying familiarity with game RPGs. I almost feel like TellTale games with Crowd Play could be used to make a sort of video game book club where people discuss not only the story, but the choices before and after they’re made and how it affects the overall narrative. When it was just two of us voting, the coin flip felt odd. I kept winning at first, so I thought I forgot to put on the option for the crowds’ choice to be meaningful, but later, a late comer thought she had power over me in the event of a tie. I was wondering if I should vote before everyone else, so my choices would be my own and maybe guide viewers, or if I should let them vote first and possibly be led by them. I opted for the latter, and although I kind of had my own thoughts, I know seeing other peoples’ decisions affected my own. Contrary to SWTOR, we weren’t held back by anyone’s lack of skill. That made it fairly accessible. It was also interesting to see choices from people I know. My socially progressive mother was actually kind of mean a few times, and the other person, while kind of wild in real life, showed her gentle side. In some ways, I think I’ve had more fun doing Crowd Play in person, but like a lot of online activities, it was fun to get people who haven’t met each other (or can’t due to distance/restricted physical space) together for an interactive group activity. TellTale gets to play with a lot of different IPs. It’s not uncommon for themes of family or friend struggles to be part of their stories. Often, TellTale creates their own characters in a known IP, like with their Minecraft and The Walking Dead games. However, Guardians of the Galaxy relies on using pre-established characters and their relationships, which creates a different kind of dynamic. For this game in particular, it was nice that I had conflicting personalities in the audience with clashing votes juxtaposed with a fictional group that also conflicted with each other. It drew an interesting parallel that made the moments where we chose the same decision more interesting. We didn’t talk much about our choices, but I could see that as a potential bonding moment. Despite the gap in knowledge of the pre-established characters, everyone had seen the characters before and had different degrees of loyalty to them. Characters in, say, TellTale’s The Walking Dead have more of a blank slate due to being original characters, but Star Lord has a movie and comic versions of himself. Using those references creates a myriad of potential Star Lords to emulate for the players familiar with the source material, but also gives those unfamiliar with him some options. What was funny was that without remembering it, I sometimes said things before Star Lord said the exact same thing, but I think that says more about how realistic the dialogue is than anything else. That isn’t to say that all the dialogue is glowing, but especially for MMOs, poor dialogue (or delivery) is one of the main reasons non-gamers struggle with understanding the draw of digital narration. Talking about our experience after playing the game brought up a few points, but no one had an issue with the voice acting. That being said, one thing everyone agreed on was the desire to see other options. My stream was actually my second playthrough, as I knew time would be an issue and I didn’t want to have to delay granting dialogue options for too long and risk audience boredom. For my viewers, there were particular dice rolls they felt strongly about, which probably means we could do repeat play throughs. For myself, it was interesting to see the changes. There were hints at how important I was to the Guardians’ group dynamic, but I hadn’t expected it to be as strong as it was, especially considering some of my audience members’ choices. By no stretch of the imagination would I dare to say that TellTales’ games are an MMO, even when played online through the internet. The story world is persistent enough that choices you make often affect sequels, but the lack of multiple in-game avatars for the audience to control probably kills off one of the prime definitions traditionally used for the genre. 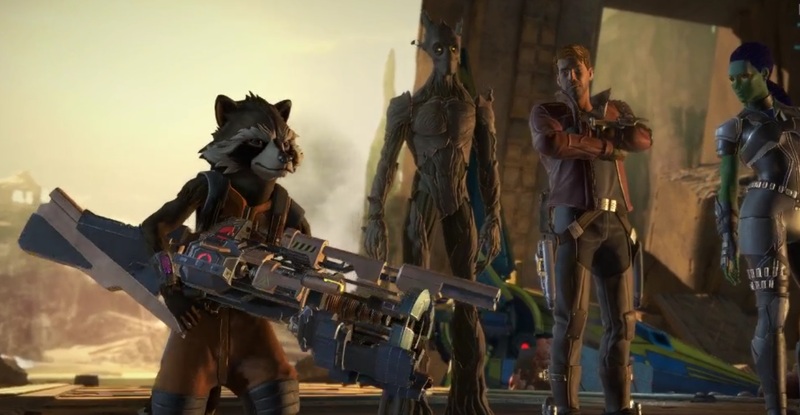 That being said, Marvel’s Guardians of the Galaxy: The Telltale Series does give a good online, multiplayer option for story fans that want to directly interact with streamers, even if current integration is lacking. In fact, you’ll have an opportunity to test that today, as MJ will be streaming it for the MOP viewers today at 3 p.m. Considering the timing and the fact that the game’s actual story is separate from the movies, it could be a nice way to prep friends and family before going out to see Guardians of the Galaxy Vol. 2. I am a huge Telltale Games fan, so popping onto the site and seeing an article about a Telltale game is pretty cool for me. The Crowd Play feature has been in all Telltale games since Batman, so GotG is actually the third game that they’ve put it in (second is The Walking Dead: A New Frontier). I have not had a chance to test it out yet, but I’ve been itching to. Normally I grab my Telltale stuff on PC, but the pre-order bonus on the PS4 was too appealing this time. This works out well for wanting to try the Crowd Play, as I have a bunch of work friends who are also on the PS4: they can watch a direct stream from me (by-passing Twitch, which should lower network latency), and join in on the Crowd Play features. If network latency can get it to the point that Crowd Play streaming is truly viable, it could completely change the dynamic how game developers present and design games with narrative choices.